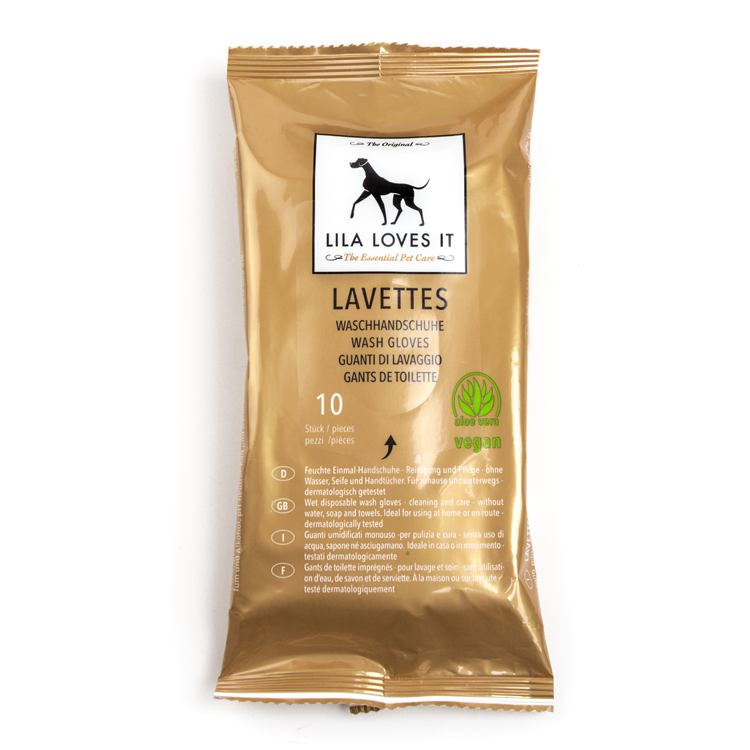 LILA LOVES IT LAVETTES – wet disposable wash gloves for cleaning and care – without water, soap and towels. Ideal for using at home or when travelling. Dermatologically tested and enriched with nourishing Aloe Vera. LILA LOVES IT LAVETTES are packed hygienically and resealable. They fit every jacket’s pocket and help in any case where quick cleaning is needed. Just put on the glove and wipe all areas which need cleaning and care. LILA LOVES IT LAVETTES are suitable for both dogs and cats skin and fur.